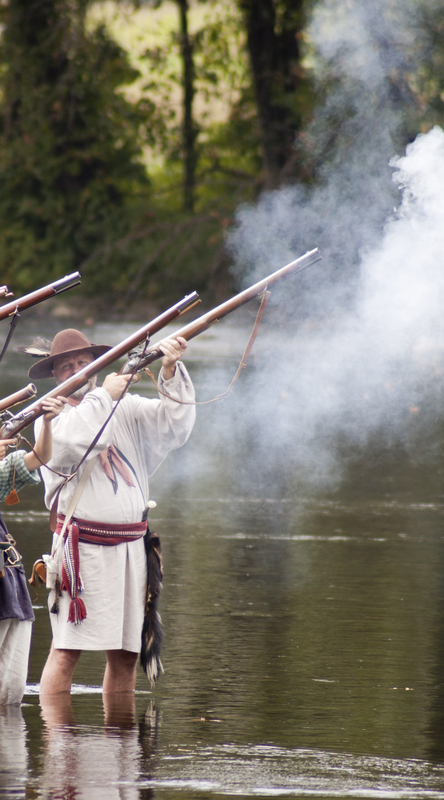 I mentioned about a week ago that a re-enactment of the famous Overmountain Men muster was taking place the weekend of Sept. 25 and 26 at Sycamore Shoals State Historic Area and that I would be attending. Well, I did attend and on today’s post are some pretty neat pictures attesting to that fact. Many interesting things happened in the late 1700s at Sycamore Shoals in Elizabethton, Tenn., but today’s topic will be about the Overmountain Men and their contribution to the Revolutionary War. Briefly, the Overmountain Men was a small army of Patriots from the mountains of what is now Northeast Tennessee, Southwest Virginia, Northern Georgia, South Carolina and North Carolina. 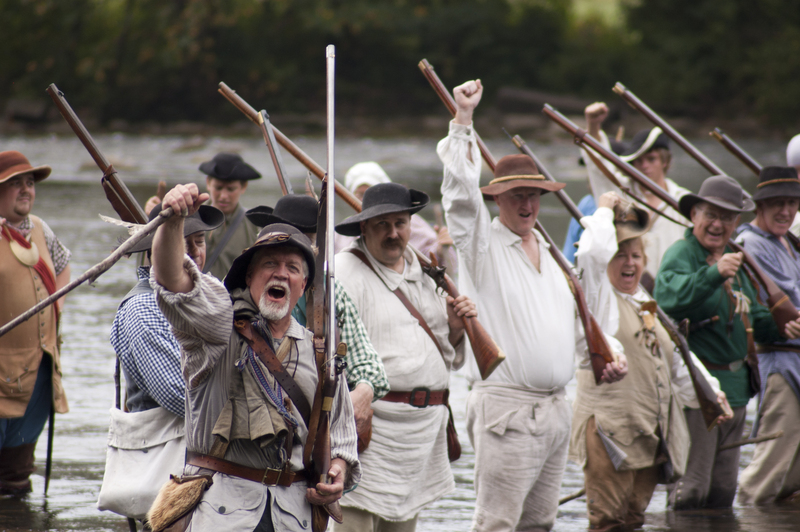 These men gathered in the fall of 1780 along what is now the historic Overmountain Victory National Trail that begins in Abingdon, Va., and ends in Kings Mountain, S.C. It was at Kings Mountain that the Overmountain Men destroyed a British army that had threatened to march across the mountains and “lay waste the country side with fire and sword” unless the people inhabiting the land over the mountains ceased opposition to the English king. Before the army of Overmountain Men reached Kings Mountain, they had to form. Part of this army formed when the militias of John Sevier from what is now Washington County, Tenn., and a militia from Abingdon, Va., met at Sycamore Shoals on Sept. 25, 1780. These men marched out the next day. I will provide more on this topic in a podcast that will appear in my next post. 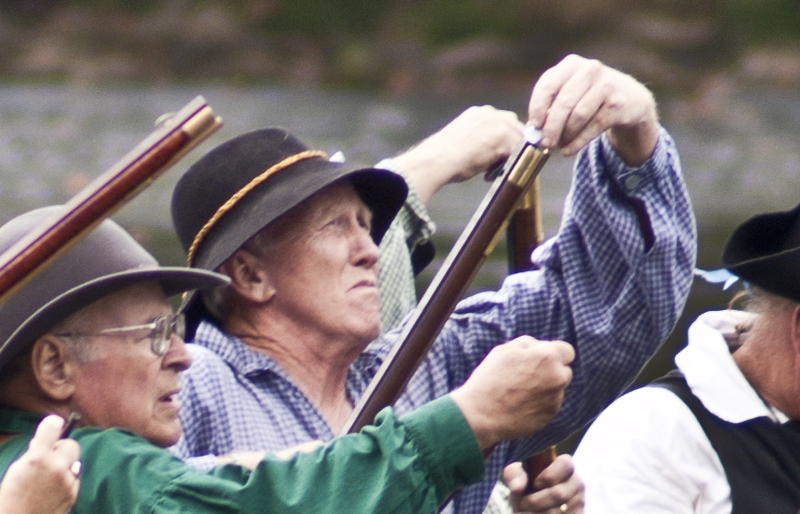 In the mean time, enjoy these pictures of actors recreating the muster of Overmountain Men as they cross the Watauga River at the shoals in Elizabethton, Tenn.